The western and central Pacific Ocean is home to the world’s richest tuna stocks. The region is also becoming the meeting place of poverty reduction and natural resource protection efforts by a handful of countries that benefit from control of this rich natural wealth. Although those countries’ returns from tuna fisheries have increased significantly through improved fisheries management, they could be simultaneously bigger and more sustainable. Papua New Guinea and Pacific Island countries supply some 34 percent of the global catch of tuna each year. For these countries, whose economic growth drivers are constrained by their geographic isolation, management of tuna fisheries can make the difference between economic stagnation or a significant rise in per capita gross domestic product (GDP). That management—and more specifically, regional cooperation in it—will heavily influence whether some of the world’s last healthy tuna stocks will be maintained. “The key challenge for Pacific Island countries is to sustainably harness a greater share of the benefits from their tuna fisheries without depleting fish stocks,” said John Virdin, director of the Ocean and Coastal Policy Program at Duke University’s Nicholas Institute for Environmental Policy Solutions. New work by the Nicholas Institute with partners at Duke and the World Bank aims to suggest a pathway to adoption of specific management reforms to meet those twin goals. In Pacific Possible: Tuna Fisheries, Virdin and other fisheries policy experts say that Pacific Island countries could refine existing regulations to significantly raise their net economic benefits from Pacific tuna fisheries. According to their work, with improved fisheries management the countries could gain as much as $344 million per year in additional sustainable revenues and could create as many as 15,000 new jobs by 2040. The additional contribution to GDP could be as high as $88 million per year—with no depletion of the natural endowment on which the value of the Pacific tuna industry is based. The many countries and fleets involved in the global tuna value chain make governance of tuna stocks for poverty reduction and sustainability an incredibly complex task. In 1982, eight Pacific island countries—the Federated States of Micronesia, Kiribati, the Marshall Islands, Nauru, Palau, Papua New Guinea, the Solomon Islands, and Tuvalu—joined forces as Parties to the Nauru Agreement (PNA) to manage waters where more than 50 percent of the world’s skipjack tuna is caught. The PNA members’ return from this resource has increased significantly since adoption of a vessel day scheme, the first regional tuna fishery management scheme of its kind. The scheme sets overall limits on the number of days that fishing vessels using purse seines—a specific kind of net—can be licensed to fish in PNA waters. Days are allocated to each PNA country according to an agreed formula. A country desiring additional days can pay a fee to one with spare days. By controlling the level of purse seine fishing, the scheme conserves tuna and increases its value. Since the scheme’s introduction in 2009, access fees have quadrupled. In 2014, they helped PNA members capture an estimated 13 percent of the delivered value of the purse seine catch. However, that success has created new pressures and challenges as companies can potentially enhance their fishing technology to increase their per-licensed-day catch and as fishing activity and catch levels continue to grow in waters beyond the jurisdiction of the PNA countries—waters where some 23 percent of western Pacific purse seining takes place. A five-year review in 2015 revealed that the vessel day scheme could be improved to enhance tuna fisheries’ contribution to member countries’ sustainable development, essentially evolving to meet the next series of challenges. Beginning in mid-2015, the World Bank and the Nicholas Institute built on this review to outline a series of policy actions that over 25 years could lead to a best-case tuna fisheries scenario. 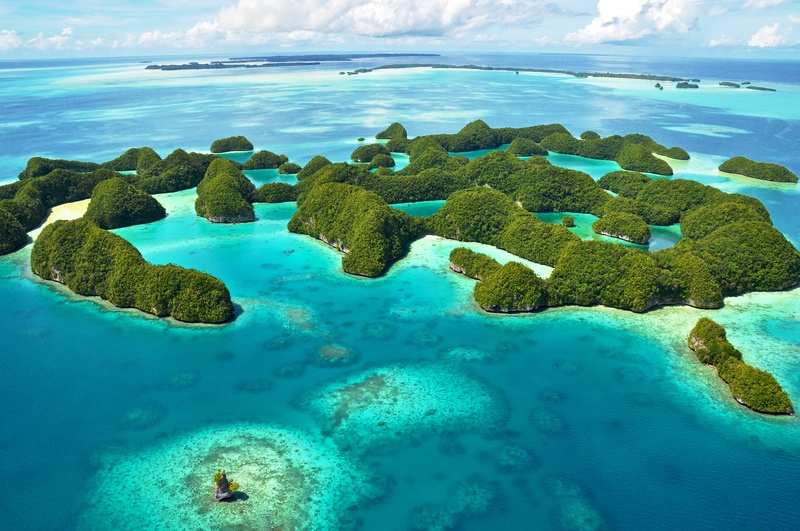 The resulting report—part of a World Bank series exploring potentially transformative opportunities for Pacific Island countries that warrant further research and policy action—also quantifies the regional economic impact of those actions by 2040. The report considers five external forces expected to shape the performance of tuna fisheries in the western and central Pacific Ocean. First, climate change could result in the migration of tuna stocks toward the central and eastern Pacific Ocean. Second, as the global supply of tuna reaches its natural limit, aggregate demand and prices could slightly increase. Third, technology improvements are likely to enhance fishing productivity, product quality, and fisheries monitoring. Fourth, Pacific Island countries’ population is expected to grow by 50 percent. Finally, several Pacific Island countries’ trading agreements with the European Union will likely erode, reducing the competitiveness of regional tuna processors while foreign fishing subsidies for tuna fleets likely persist. Where feasible, inclusion of coastal communities in fisheries through dedicated access and inshore fish aggregating device (FAD) networks as well as investments in food security as coastal fish supplies stagnate and human populations grow. After Virdin and his co-authors incorporate comments in the final Pacific Possible report, the Nicholas Institute, the World Bank, and other institutions will continue work with the PNA Office to support PNA members’ sustainable tuna fisheries management with real-time, demand-driven policy information and research. Virdin and his collaborators expect to provide policy advice on time-sensitive questions. They also expect to explore opportunities for student- and faculty research through project-based courses and research assistantships and to engage in exchanges and capacity building through fellowships for Pacific island students, fisheries managers, and policy professionals. Some of the new policy research will focus on the applicability of the PNA countries’ model of regional cooperation to other large, migratory fisheries. Work on the Pacific Possible: Tuna Fisheries report was supported by the World Bank. Story by Melissa Edeburn.